Developing a love of maths in primary schools is a challenge; it is recognised as the most disliked subject. Sadly, if not addressed in those early years, children will continue to be disengaged with this vital subject for the rest of their lives. Thankfully schools across the UK are currently managing to convert their students to ‘maths lovers’. 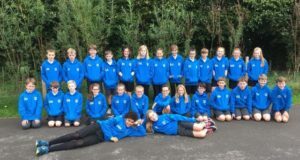 Taking Priorsford primary school in Peebles as an example, its mission is to provide an environment where pupils feel safe, happy and are motivated to learn. 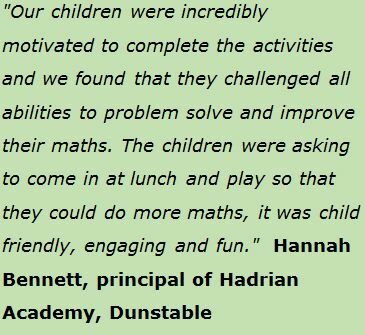 This is being achieved across all areas of the curriculum, particularly in maths. 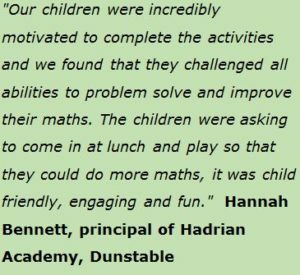 The school works closely with parents to offer them guidance in helping their children’s development, particularly in maths; engaging with parents through workshops and open days. In line with the problem solving, maths mastery approach to learning in England and Curriculum for Excellence in Scotland, the support sheets suggest that parents try different approaches when solving problems, breaking them down into smaller, more manageable tasks. 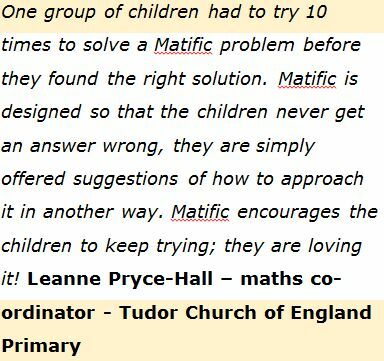 Last year the school decided to trial Matific, the primary maths resource that is being rapidly adopted by schools across the UK. Unlike many of the maths resources on the market, which focus on skill and drill activities, Matific is aligned to the national curriculum in England and Wales and the Curriculum for Excellence in Scotland; using a problem-solving approach to achieving maths mastery. Not only do 9 out of 10 teachers say they would recommend Matific to their colleagues, but independent university research has revealed that Matific helped improve pupils’ test results by 34 per cent. 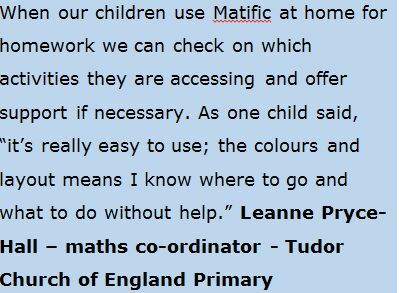 As P6 (year 5) teacher Julie Wight explains; “the beauty of Matific is that the children love using it. But of course, we always have to balance activities that are fun and engage the children, with positive outcomes. 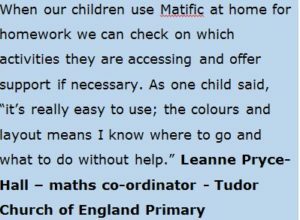 “Being an online resource, children can also access it at home for homework activities; feedback from parents is that their children have a newly found enthusiasm for maths and can’t wait to login to Matific. During school, pupils have ‘together time’ on a Friday where the children for all year groups can chose a subject area and activity to work on with their younger and older peers. The challenge has always been finding activities that are aligned to the different levels of development. Not only is Matific a very popular option, it also means that the children can access the learning activities at their own level.